Craving a chicken salad sandwich last night, I made up a quick batch of pita pockets. These are delicious and taste amazing freshly made, like most everything else. This makes approximately 8 6-8" pitas depending on how thick you roll them out. A stand mixer makes this recipe a cinch, however it can be made by hand. In the bowl of a stand mixer fitted with the dough attachment, dissolve sugar in the warm water and sprinkle yeast over the top. Let sit for 5 minutes. Add 1 cup of flour and let mix into a batter consistency. Add remaining flour and salt and turn the mixer on medium-low and leave to knead for 8-10 minutes. Roll into 1/4" thick circles, try to maintain an even thickness, that's what causes the pocket action instead of lots of bubbles. Place on a baking stone, or a parchment paper or silpat covered baking pan. Leave to rise 30 minutes. Gently flip the pitas over and cook for 12-15 minutes at 425. For storing, let cool when they come out of the oven completely before putting away. Wrap tightly and use within 2-3 days, or store in the freezer if you want to make several batches. To thaw quickly wrap lightly in a damp towel (paper towel) and stick in the microwave for 15-30 seconds (depends on your microwave). 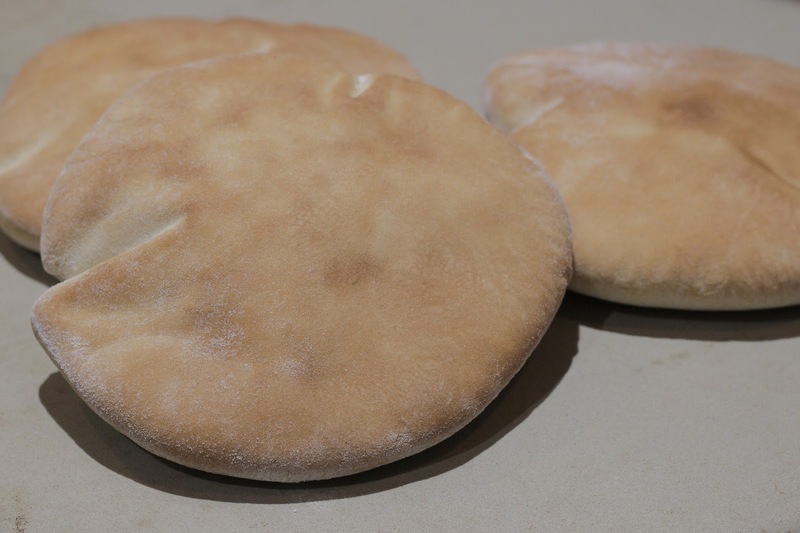 I have so wanted to learn how to make Pita Bread...So excited to give this recipe a try. Love your blog, glad I found it! I'm pinning your recipe! It was surprisingly easy the first time and now I just whip them up when I want them rather than buy them. I hope you have the same experience.